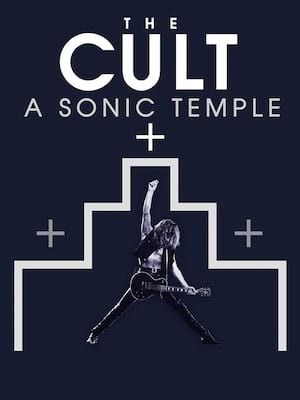 The Cult Return to the road! 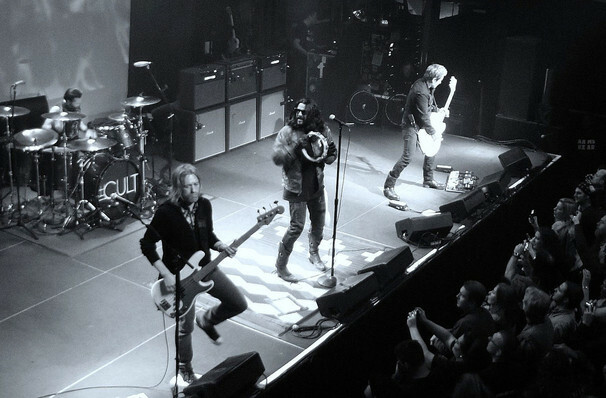 Led by singer Ian Astbury and guitarist Billy Duffy, The Cult were one of the most distinctive bands of the 1980s. Blending the post-punk sound of counterparts like Echo and the Bunnymen with a heavier metal vibe, The Cult hit the big time in 1985 with 'She Sells Sanctuary' (whose video memorably featured Astbury dressed as a goth pirate). Later hit singles included 'Love Removal Machine' and 'Fire Woman'. Astbury and co. are heading out on tour in 2019, with their extensive catalog, and bring to you their classics and fan favorites. With tracks ranging from 1984s Dreamtime to the last album release, 2016s Hidden City. Sound good to you? Share this page on social media and let your friends know about The Cult at M Telus. Please note: All prices are listed in US Dollars (USD). The term M Telus and/or The Cult as well as all associated graphics, logos, and/or other trademarks, tradenames or copyrights are the property of the M Telus and/or The Cult and are used herein for factual descriptive purposes only. We are in no way associated with or authorized by the M Telus and/or The Cult and neither that entity nor any of its affiliates have licensed or endorsed us to sell tickets, goods and or services in conjunction with their events.